Earn $9.29 in VIP credit (929 points)What's This? The Shimano Di2 EW-WU111 In-Line Wireless Transmitter makes the electronic shifting system easier to use, adding Bluetooth connectivity in addition to the native ANT+ to feed data from derailleurs to a compatible phone, tablet, or cycling computer. 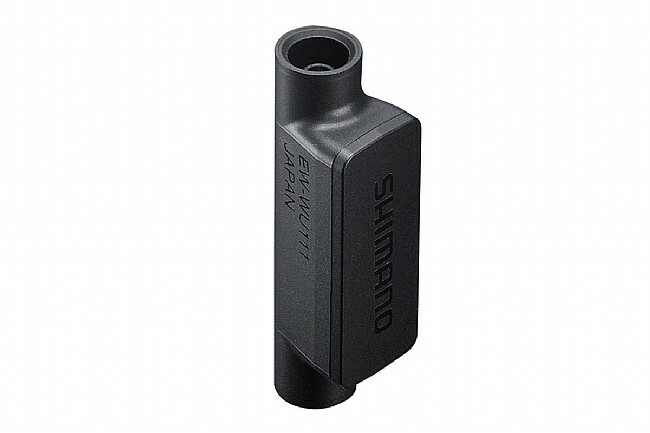 This little black box is compatible with Shimano's E-Tube Project for complete customization of shifting or last-minute firmware updating from a phone or tablet. Monitor battery levels, gearing, and other drivetrain metrics on the fly. The Shimano Di2 EW-WU111 Inline Wireless Unit is compatible with Shimano's E-Tube Di2 systems.